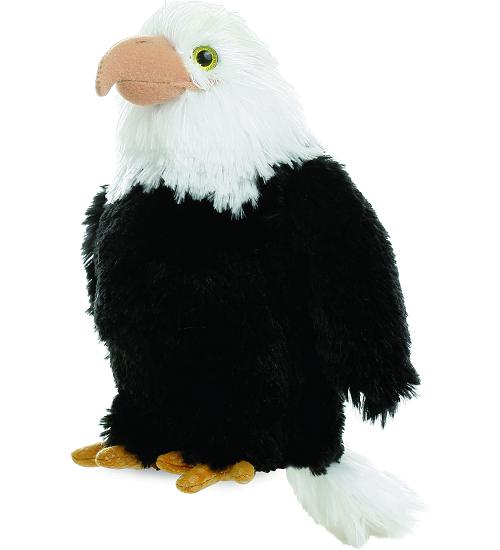 Mini Flopsie Liberty Eagle, this regal stuffed eagle, takes his role as a symbol of freedom seriously. But, you know, he loves to have fun too. 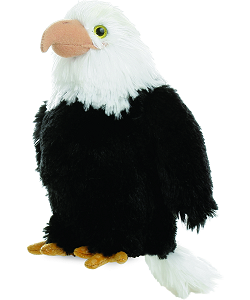 With soft black "feathers," soft white fur on his head, and amazing yellow eyes, Mini Flopsies stuffed eagle Liberty can go from serious to silly in the blink of the imagination.